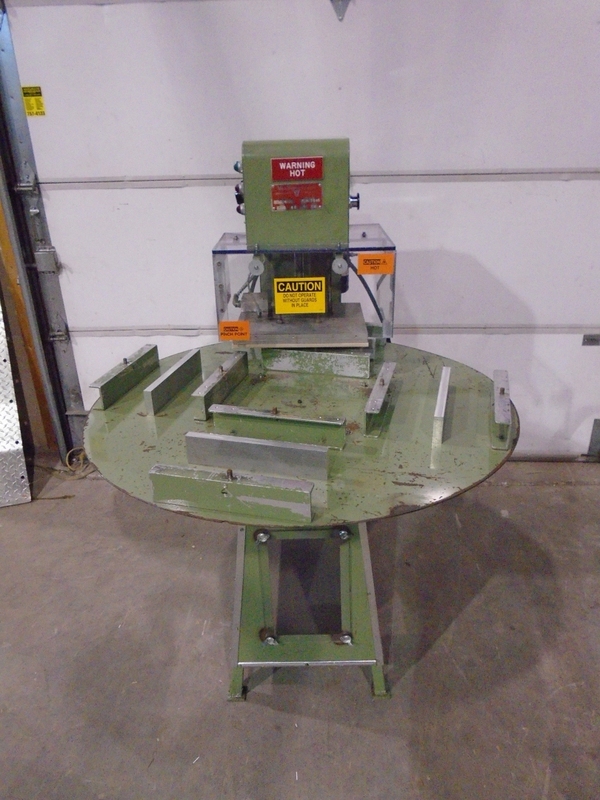 Used Visual Pak 4 Station Rotary Blister Heat Sealer Model DS-4. S/N FA-1542. 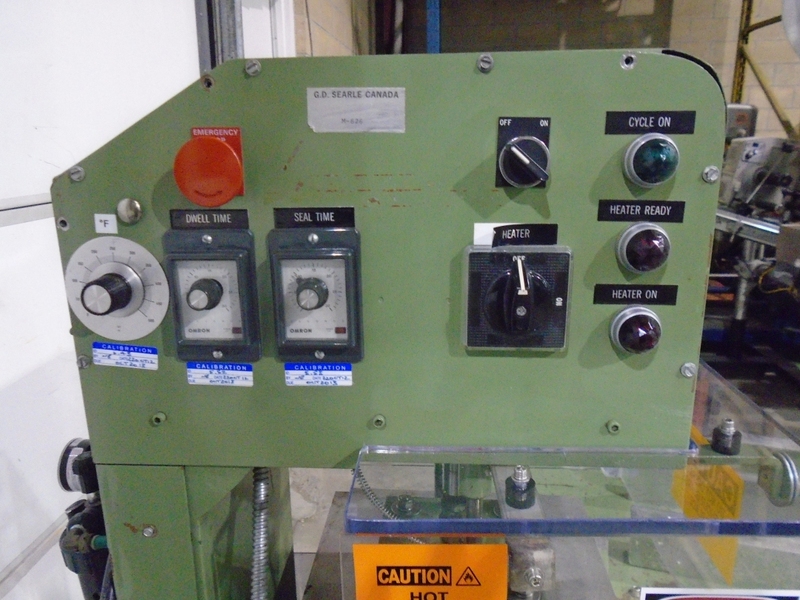 Unit features start/stop, emergency stop, temperature controls, dwell time controls and rotary table speed controls. Sealing area: 12” x 14”, Blister depth: 3 ¼”, Seal pressure: 2000 lbs @ 100 psi, Seal time: 0-99 seconds, Dwell time: 0-99 seconds. Electrics: 1Ph/60Hz/115V, 1500Watts. Outside of machine is painted green. Overall Dimensions: 52”L x 42”W x 57”H. Delivery Timeframe: Immediate.